A professional graphic designer since 1980, Regina Vorgang has garnered awards for her design projects and built a successful graphic creative design studio in Stamford, Connecticut. After many years as a graphic designer and working on a computer, Regina longed to get back to creating artwork by hand. 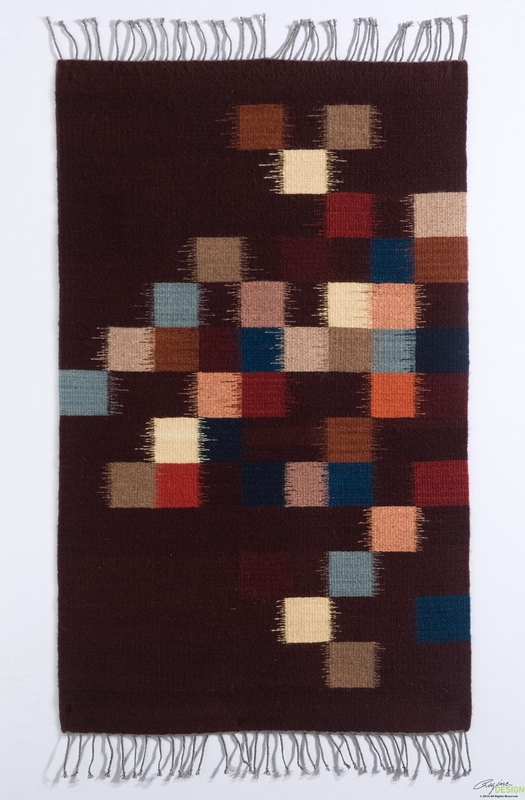 Formally trained in traditional arts along with graphic design, she was always intrigued by the art and craft of weaving. 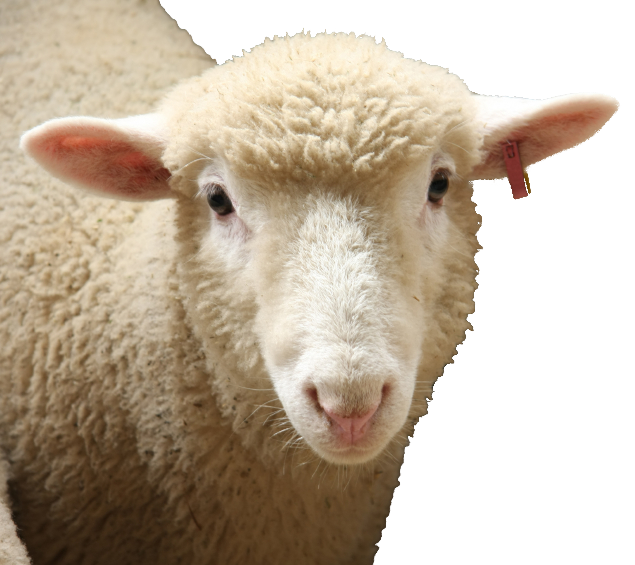 She participated in a variety of weaving workshops and classes until she found her love of weaving with wool and making tapestries and rugs. 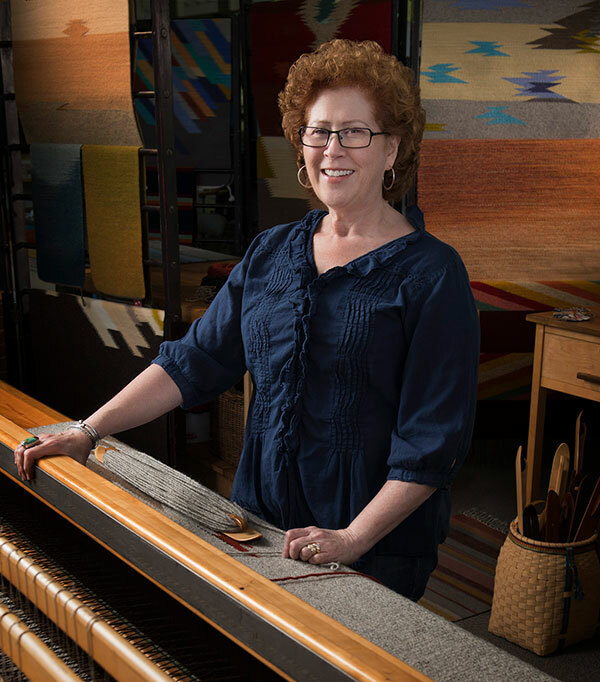 In 2002 Regina moved to Ventura, California, where she turned her focus to combining her unique graphic vision and weaving skills to create handwoven tapestries and rugs that bring traditional craft and contemporary color and design to her pieces. 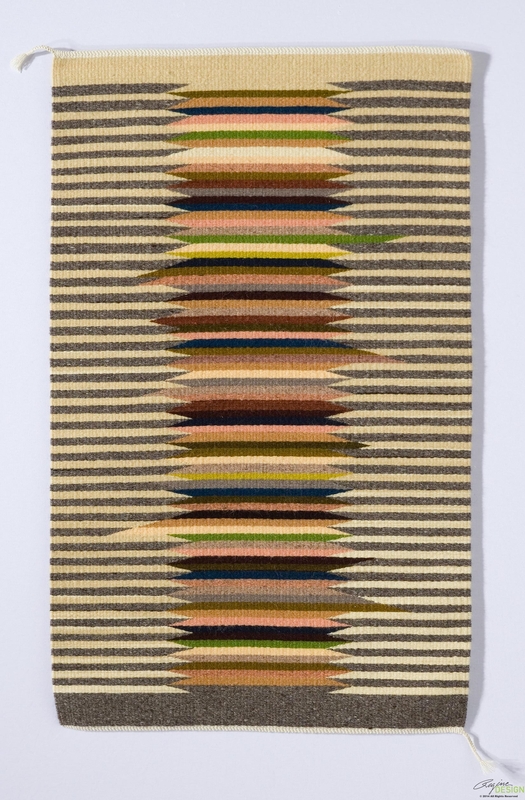 Her rugs can be displayed on the wall or used on the floor to bring “art to the floor”. 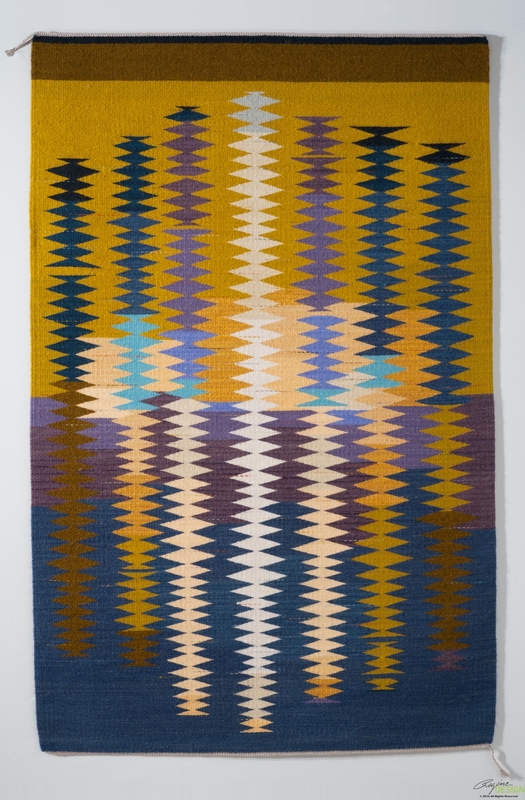 Regina is a member of the American Craft Council, American Tapestry Alliance, Handweavers Guild of America, and Studio Channel Islands Art Center. Regina’s studio is located at Studio Channel Islands Art Center in Camarillo, CA. She designs and weaves rugs up to 11′ wide and shows and sells her work at her studio, gallery exhibitions, and juried art and craft shows.